Arsenal icon Freddie Ljungberg has signed a short-term deal with the Indian Super League. The 37-year old Swede has come out of retirement to join the inaugural ISL competition for three months in September this year. 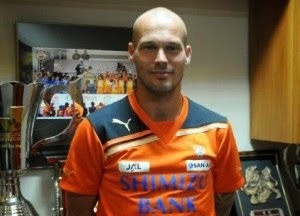 Ljungberg, who retired while with Shimizu S-Pulse in 2012, says it is a good opportunity to help grow the game in Asia.